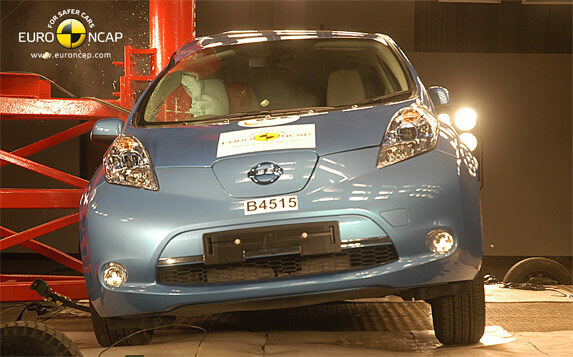 The European New Car Assessment Programme (Euro NCAP) has awarded the 100% electric Nissan LEAF the highest level of car safety following its performance in the independent organization’s stringent crash tests. The zero-emission vehicle received a five-star rating, the first electric vehicle ever to earn this distinction. The reigning European and World Car of the Year earned an 89% rating for adult safety, an 83% rating for child protection and an 84% rating for its on-board safety assist systems, which include Electronic Stability Control (ESC) and a speed limiter as standard. The compact family hatchback also earned a higher-than-average 65% score for pedestrian safety, thanks in part to the low nose design and the comparative lack of ‘hard points’ under the bonnet. 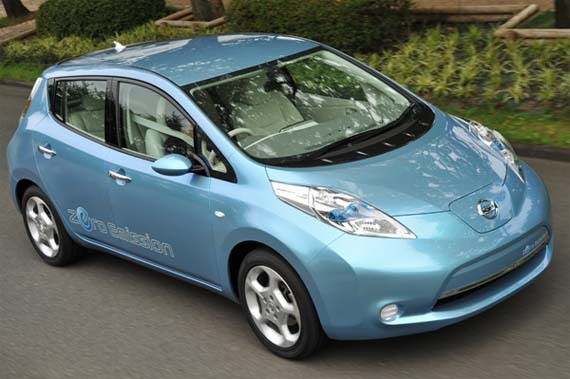 “Nissan LEAF’s performance in these tough safety tests underlines the engineering integrity that has gone into the car and proves that this innovative 100% electric vehicle is the perfect match for daily family use. Not only does Nissan LEAF offer all the space, practicality and performance of any of its conventional rivals, it is one of the safest cars on the road,” said Pierre Loing, vice president of product strategy & planning at Nissan International SA, Nissan’s headquarters in Europe, and head of the company’s zero emission business unit. 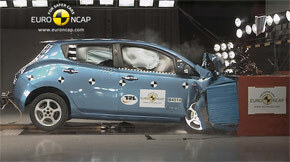 “Nissan LEAF proves that EVs can achieve the same safety levels as traditional cars. The standard is now set for the next generation of such cars on the European market,” said Euro NCAP Secretary General Michiel van Ratingen. Nissan LEAF’s safety assessment followed standard Euro NCAP procedure, with tests for frontal impact, side impact, side pole impact and whiplash. The car’s 48 lithium-ion battery modules, which are housed in a special compartment beneath the floor, completely withstood all the impacts. 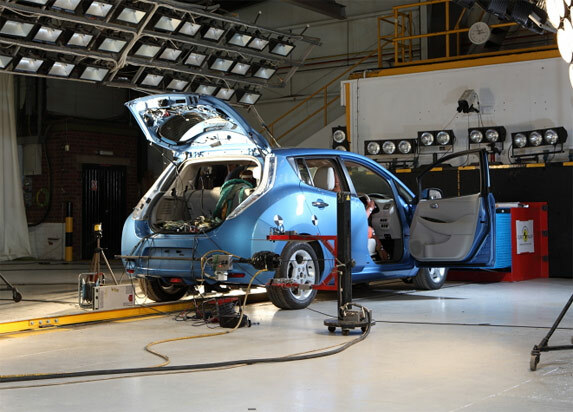 In addition, the EV’s battery system was switched on during the crash simulations to test the in-built safety measures of the electrical system, which includes automatic cut-off isolation in the event of an accident. The car passed those with flying colours, too.